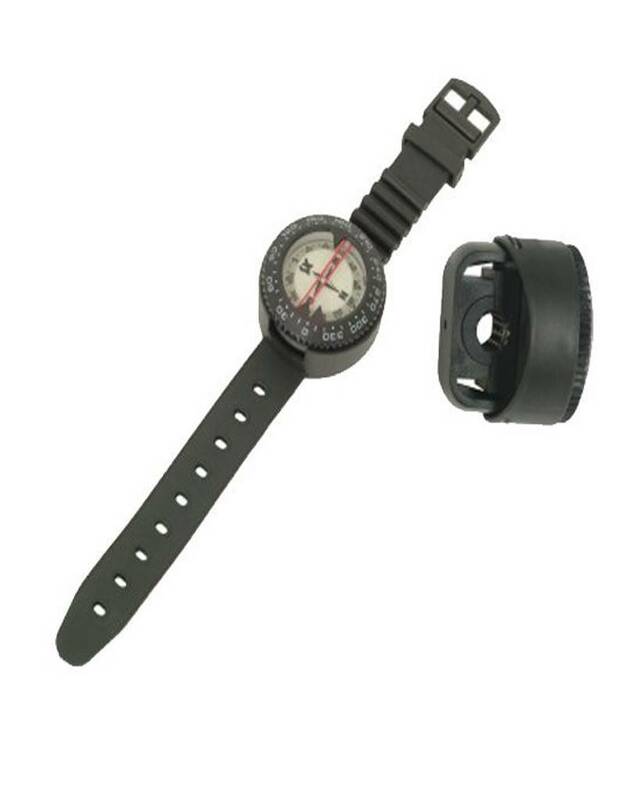 XS Scuba makes a highly accurate, precision compass that incorporates its popular SuperTilt design into a very versatile rubber wrist strap or hose mount option. You get the choice of top or side reading windows, along with luminescent gauge face and solid-clicking 360 degree rotating bezel. Like having a fine Swiss compass on your wrist and boot. 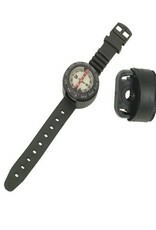 Don’t take your compass for granted, as just another add-on to your wrist or dive gauge console. If you’ve ever tried to navigate with a poorly designed or improperly functioning compass, it can ruin your whole dive. The design team at XS really thought out the SuperTilt, coming up with a list of convenient, functional features. First, the tilt design. You get more range of tilt, top and side reading than with any compass on the market. The over-sized ratchet bezel can be rotated easily even with thick gloves. The luminous dial of the SuperTilt is designed with a half black/half luminous graphic to make quick work of compass direction, especially helpful in dim light. And the dial rests on a precision jeweled bearing, incorporating super strong magnets for quick response and accuracy.